Looking for band saw upper pulley bracket, part no. 13009-103. 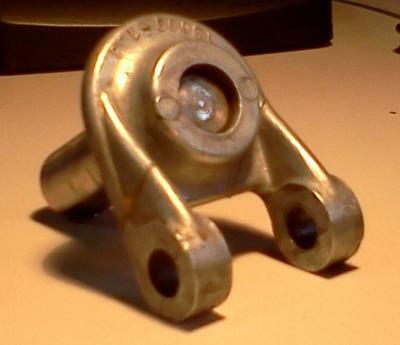 It appears to be a metal casting. Unfortunately, it broke. Do you know how I may replace it? Or do you know who fabricates new ones? I had the same issue and built a unit by cutting out an aluminum block for the mounting brackets and drilling a hole for the axle bolt. It works well. The machine runs well. Adjusted the blade blocks and wheels today.